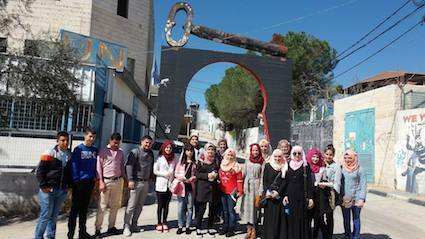 Alrowwad is an independent cultural and artistic center for the children of Aida camp in Cisjordan and Palestine. 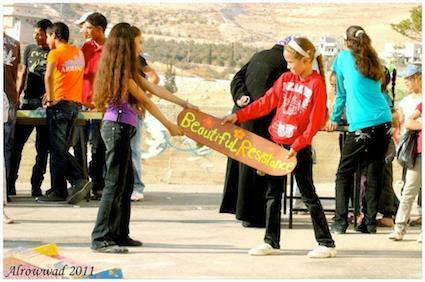 Founded in 1998, this association uses beauty to resist non-violently the Israeli occupation, through theatrical, cultural, artistic and educational activities. This association is working to become a reference center of professional training in the fields of performing arts and visual arts. Alrowwad works with women, children and young people, whatever their origin and religion; it supports their life projects as an alternative to the thought of death, and offer other perspective to make their country alive too. She wants to promote a healthy environment by helping these groups to express their creativity, develop their sense of belonging and release tension caused by the war climate in which they are forced to live. These activities are conducted in accordance with the values ​​of innovation and social entrepreneurship, respect for human rights and equal partnership relations, to bring a long term positive change in this world. Based in Aida refugee camp in Bethlehem Alrowwad extended certain actions to refugee camps, marginalized villages and cities of different governorates of Palestine. The association also develops partnerships in the Arab world. 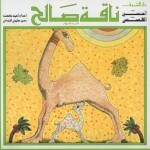 Artistic representations of Alrowwad and its films have toured locally and internationally in Europe and the United States. Alrowwad is a pioneer in organizing the first outdoor film festival, the first festival of Palestinian folk tales, the sports program for women, the professional training program in photo and video “pictures for Life”, the first program of scholarships for students. It offers services and activities at a reasonable cost. Alrowwad campaigns to sensitize the international community as a whole to break down stereotypes and show another image of the Palestinian people and its culture. It does so with the Associations commitment of Alrowwad friends in France, the USA and England. It is a member of the Anna Lindh network, partner with Ashoka and Synergos organizations, Palestinian Network for Justice and the Coalition of the Palestinian on the Boycott of the occupation. Alrowwad is a part of the National Network for Child Protection. This department develops programs and activities in the performing arts and visual arts: theater, dance, drawing and painting, music, singing, puppets, educational games and entertainment with mobile toy library (Play Bus). These activities also include local and international artistic tours to build exchanges and partnerships in creating sustainable positive and creative change. The idea of ​​this department is to put the Palestinians behind the camera to appropriate and tell their story from their own point of view. The activities include photography, video and animated films, as well as documentation and archiving of Alrowwad activities, production and editing photo and video. This unit could become a center of resources and media training. Activities are adapted to the needs of women to promote social inclusion and physical and mental health: job creation workshops, professional training in embroidery, sewing, marketing of local products, sports programs, psycho-social education, awareness workshops on health and environment. 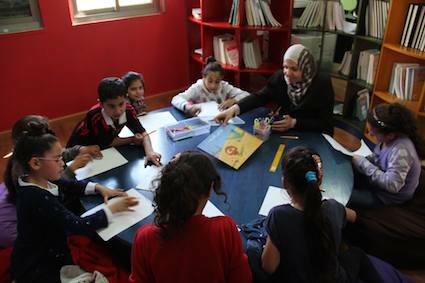 Since 2000, Alrowwad set up a tutoring program for children (5-18 years) with difficulties in learning and provides a space for library, toy library, multimedia, creative writing, storytelling and folk tales. Since 2001, Alrowwad also plays a major role in supporting students through a fund for university studies: Actors of Change – Actors for the future. This department develops awareness, training and education to health and environmental issues. It also provides free medical consultation days, environmental tours, and agricultural workshops on the roofs of houses. Alrowwad center ensures inspire change, with a green community space, no smoking, sensitive to energy consumption. Friends Of Al-Rowwad USA, Inc.
Visit our website or facebook. Share the post "Alrowwad in West bank"